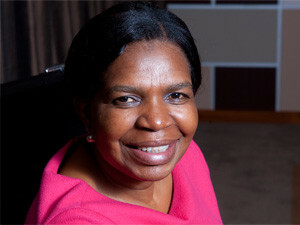 Former communications minister Dina Pule allegedly influenced the appointment of USAASA's CEO. A forensic report by Gobodo has accused former communications minister Dina Pule of influencing the appointment of senior officials at the Universal Services and Access Agency of South Africa (USAASA), reports Business Times. The report was obtained through a joint Sunday Times investigation in conjunction with Corruption Watch, reports Business Times. The report found that USAASA CEO Zami Nkosi's appointment was irregular and his qualifications "questionable". Business Times reports the Gobodo investigation found USAASA ignored normal recruitment processes after initially attracting 34 candidates for the post from within the ICT sector. Instead, it head-hunted candidates. The paper adds these candidates were interviewed at a premises owned by Khemano, a company belonging to Pule's companion, Phosane Mngqibisa. Business Times says the report indicates that Pule pressurised Usassa chairperson Phumla Radebe to hire Nkosi. United Democratic Movement leader Bantu Holimisa earlier this year wrote to president Jacob Zuma alleging that Nkosi used Radebe as a reference on his CV when he applied for the post, but Radebe did not recluse herself from the appointment process. Following his letter, the department of communications said it had tasked independent investigators to look into the allegations of possible corruption and maladministration at the agency. Nkosi told the paper that, as the report was still in draft form, he could not comment, while Pule reportedly "ignored" requests for comment.